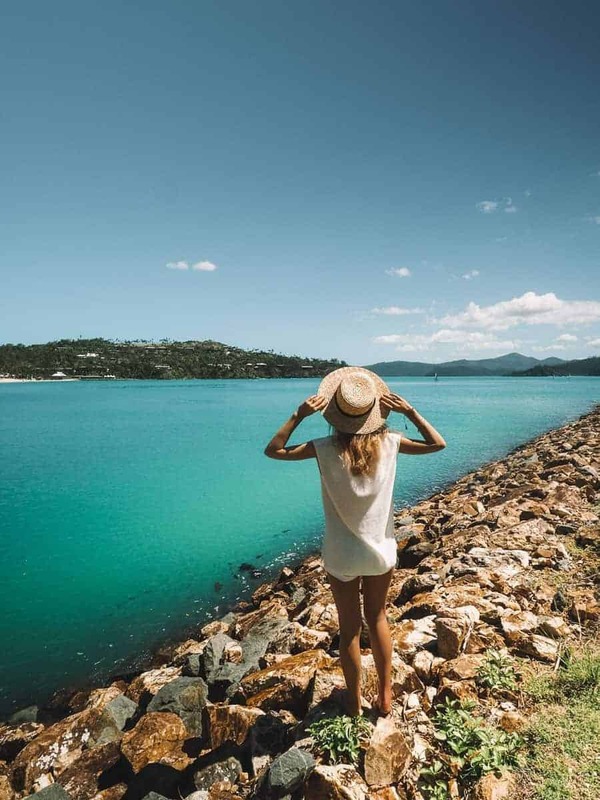 After Hamilton Island was ravaged by a fierce cyclone in 2017, many people have asked, is Hamilton Island worth visiting? Remember that marketing campaign that Tourism Australia ran back in 2009 for the Best Job in the World, where the winner got to live in the Whitsundays as the caretaker of Hamilton Island. That campaign showed the world that Hamilton Island is one of the best islands to visit in Queensland. 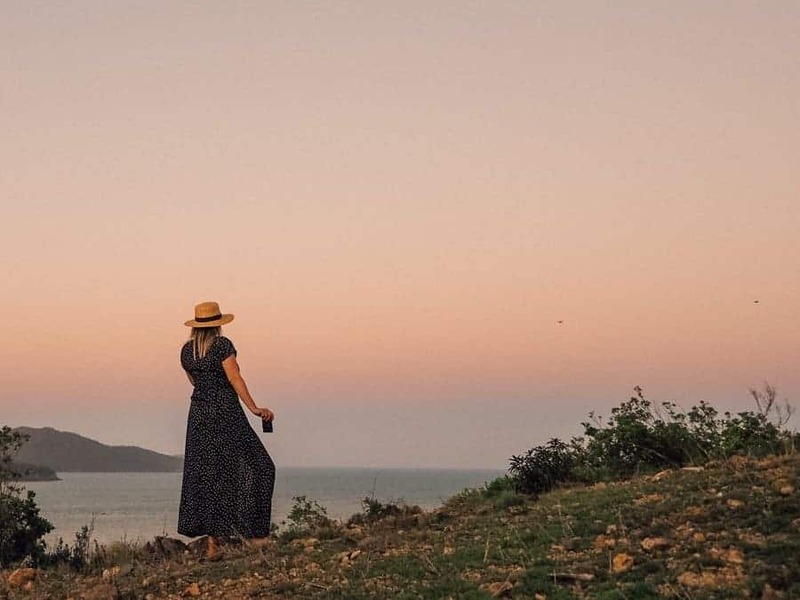 If you’re thinking about ticking the Whitsundays off your bucket list, Hamilton Island is the perfect place to base yourself. 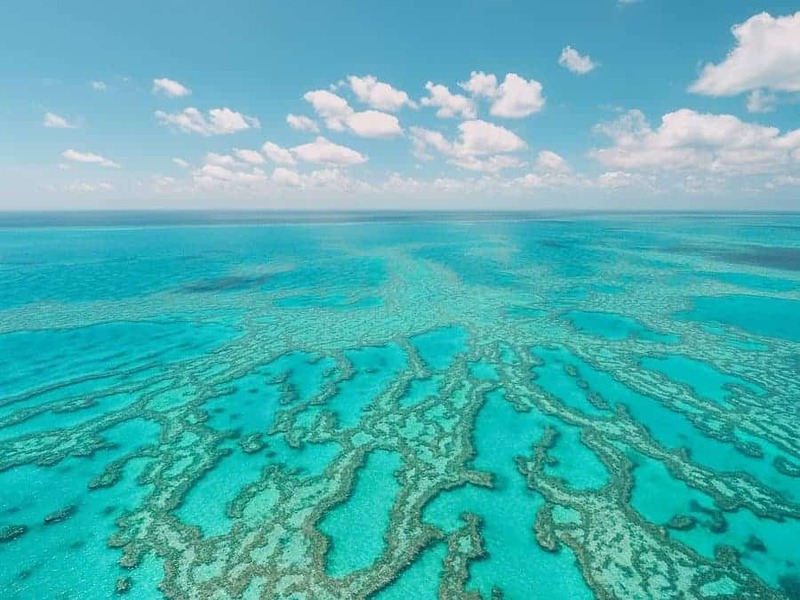 At least 3 Days (but ideally 4-5 Days) is needed to visit the Great Barrier Reef and enjoy the best activites in this Hamilton Island travel guide! Getting to Hamilton Island– The best way to get to Hamilton Island is to catch a commercial airline flight. There is an airport on the island with Virgin Australia and Jetstar offering direct flights from Brisbane, Sydney, Melbourne and Cairns. 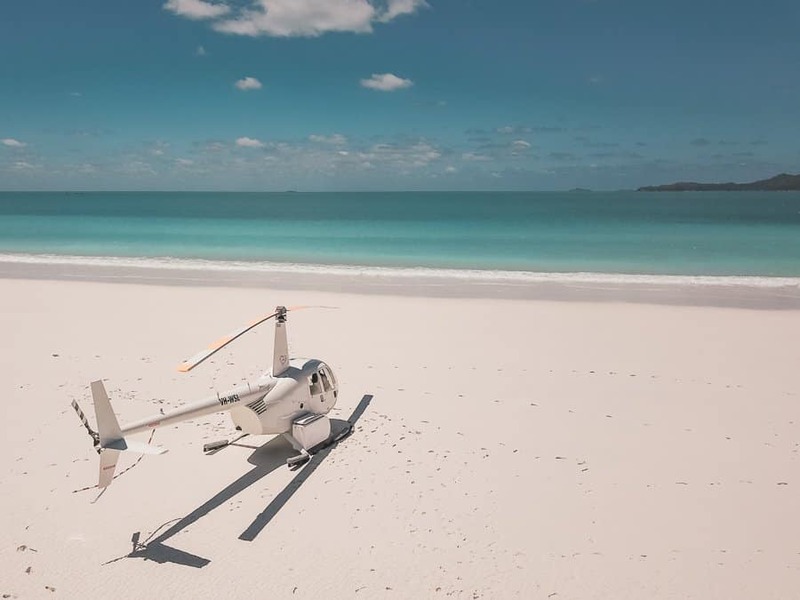 Make sure you don’t book a flight to Airlie Beach (Whitsunday Coast Airport), as it’s on the mainland and getting a boat transfer to the island will add a few hours to your trip. Getting Around – Hamilton Island offers free shuttle bus routes around the island. However, the best way to get around is to rent a buggy and explore Hamilton Island independently. Buggy hire on Hamilton Island will cost around $87 (AUD) for 24 hours. Note: If you’re travelling from overseas, you may need an International Driver’s License. Best time to Visit– We visited Hamilton Island in March. However, I wouldn’t recommend this as the best time to go to Hamilton Island. We got lucky with beautiful weather, but the Whitsundays weather in March is notoriously unpredictable for end-of-wet-season storms. Most people recommend September (early Spring) as the best time of year to travel to Hamilton Island. There are several accommodation options on Hamilton Island, ranging from fully self-contained cabins to world-class luxury retreats. 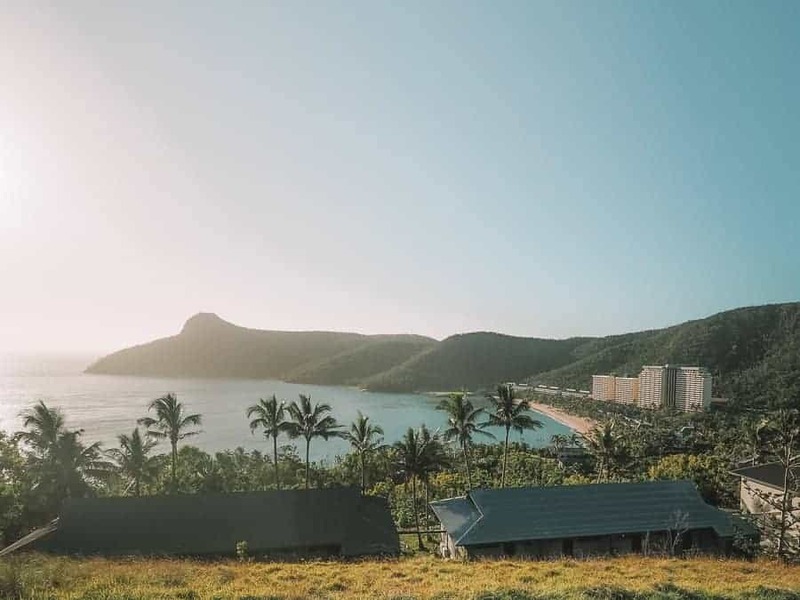 Reef View Hotel– perfect for couples and families wanting hotel style accommodation, with sweeping views of nearby Catseye Beach and Whitsunday Island. Palm Bungalows– ideal for those wanting a self-contained apartment style accommodation. Surrounded by lush tropical garden. Holiday Home Rentals– if you have a large group, or crave a little more privacy, consider renting a private villa. Qualia – if you’ve got cash to splash, consider booking a suite at the world-class luxury resort, Qualia. The views from each room are unrivaled by any other on the island. There are many places to eat on Hamilton Island. From casual bakeries and cafes, to fine-dining with a view and several takeaway options. Bob’s Bakery– our morning coffee stop. Also serves pastries, meat pies and sausage rolls. Popeye’s Takeaway– possibly the best seafood on Hamilton Island. Popeye’s is the perfect place to grab takeaway fish and chips to eat on the beach or have a sunset picnic. Clubhouse Restaurant– catch a boat to neighbouring Dent Island for a special dining experience at the Clubhouse Restaurant with breathtaking views of the Ocean and Passage Peak. Coca Chu– contemporary Asian style cuisine with amazing views. Long Pavilion– Qualia’s signature adult’s only fine-dining restaurant. Unfortunately, this restaurant is exclusively for Qualia guests, so you’ll just have to book a stay there to experience it! Nearly all of the Hamilton Island bars have a view. You can’t go wrong really. Bommie Deck– the bar at the iconic Hamilton Yacht Club with its striking sail-like structure cannot be missed. The perfect place for afternoon drinks with a fantastic water view. 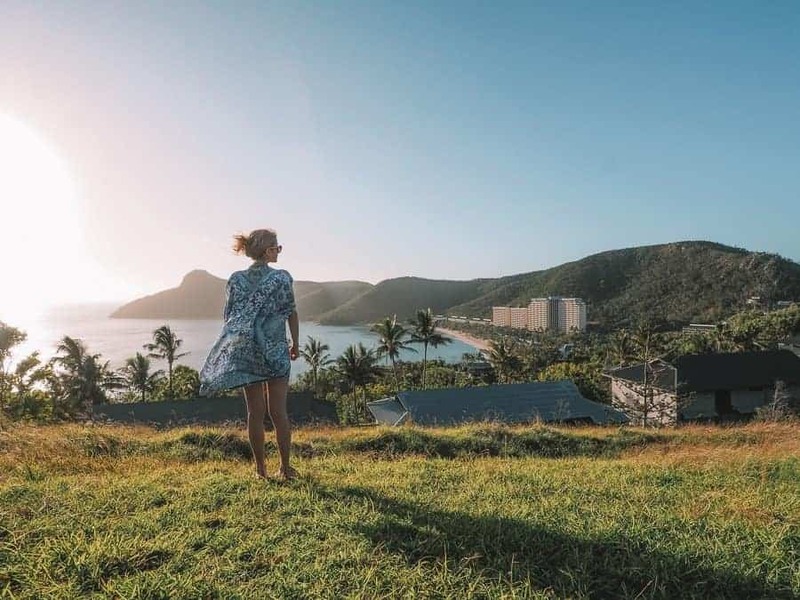 One Tree Hill Bar– Hamilton Islands famed One Tree Hill Bar offers jaw-dropping sunset views, serving Frośe (Frozen Rośe), craft beers and cheese. Marina Tavern– a great spot for a pub-style meal and a beer, with a laid-back atmosphere and great for families. We spent the first afternoon exploring the island in our golf buggy. Hamilton Island is not that big so it’s easy to cover the whole island in one afternoon. On the southern side of the island is the airport and the marina. We drove around the marina, checking out the million-dollar yachts, the stately yacht club, shopping in the boutiques and souvenir shops. There are also many restaurants and cafes around the marina, making it a nice place for lunch or dinner. 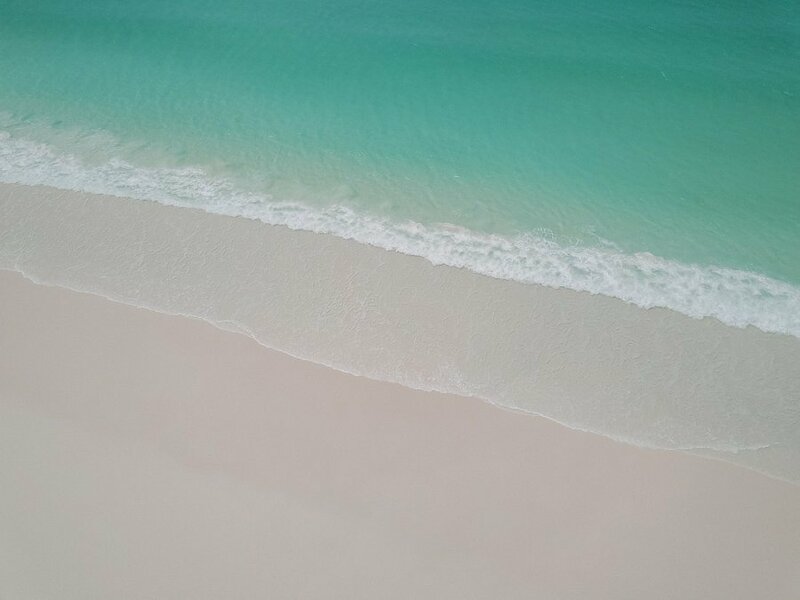 To the west is where most of the island permanent residents live, as well as the well-known celebrity haute luxury spa resort, Qualia. On the North-side is the main resort area. Here you’ll find beaches, pools, bars, restaurants, activities and watersports. This is where most families spend their holidays – parents relaxing in the sun while the kids play in the pools and beaches. The east side or the island is not accessible by road, but there are several good hiking trails if you want to work up a sweat. Sunset at One Tree Hill– Every afternoon around sunset time, people on Hamilton Island make their way up to One Tree Hill to watch the sun go down. You can have sunset cocktails at One Tree Hill bar, or alternatively, many people pick up their own drinks from the local bottle shop and find a patch of grass to sit and while the afternoon away. 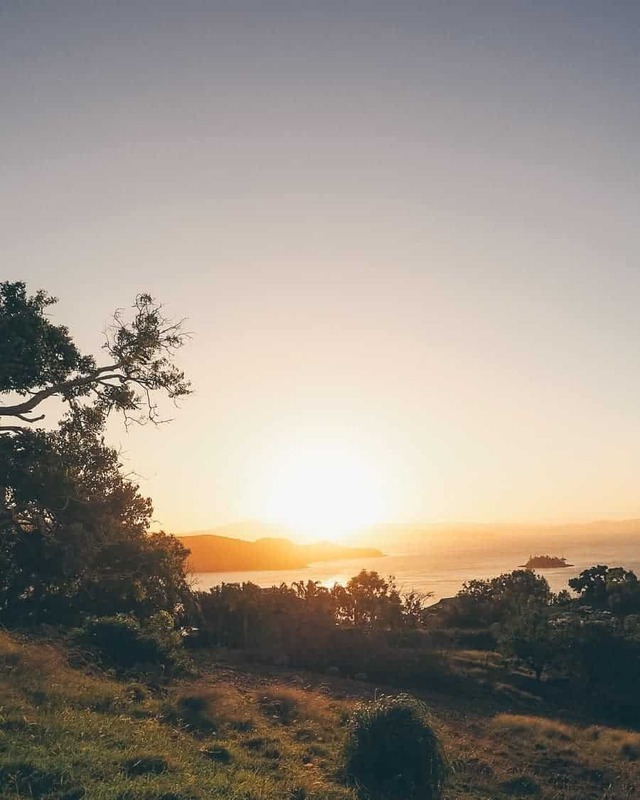 Hiking– Hamilton Island offers some great bushwalking. Most of the trail on the island will reward you with a fantastic view at the end. If you’re up for the 3-hour return trip, we highly recommend the Passage Peak trail. It’s even better at sunrise. Playing Golf– Hamilton Island has a world-class golf course set across two islands. 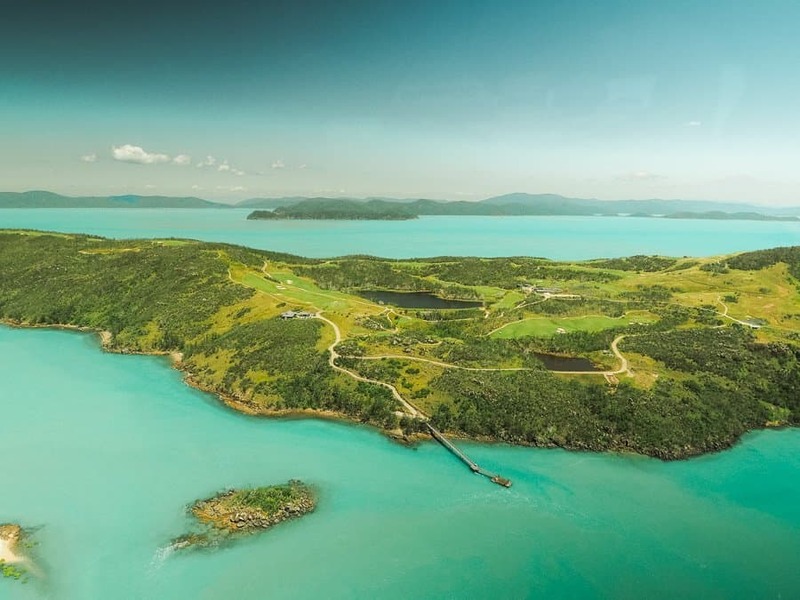 You can play the first 9 holes on Hamilton Island and then catch a boat over to … Island to finish off the last 9 holes. 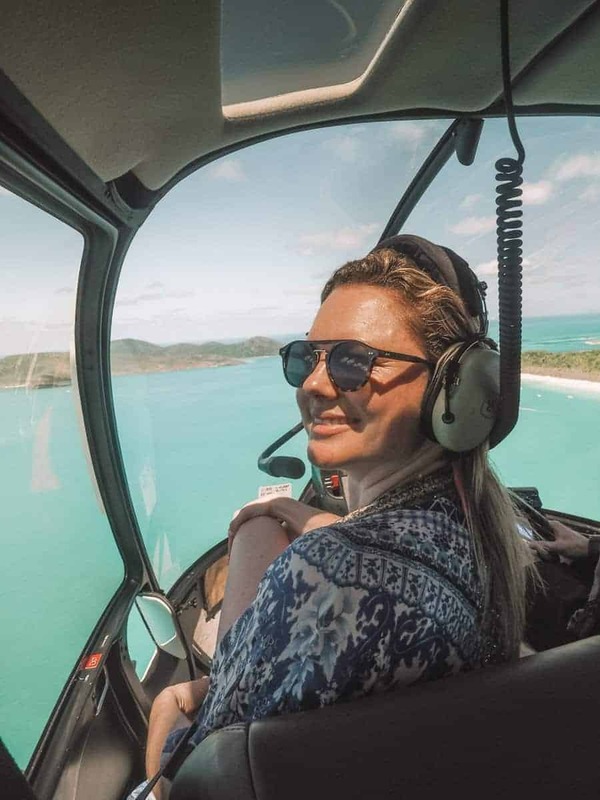 Great Barrier Reef Scenic Flight– During our stay, we spent an afternoon taking a scenic helicopter flight from Hamilton Island to Whitehaven Beach on Whitsunday Island, with a flyover of the iconic Heart Reef. 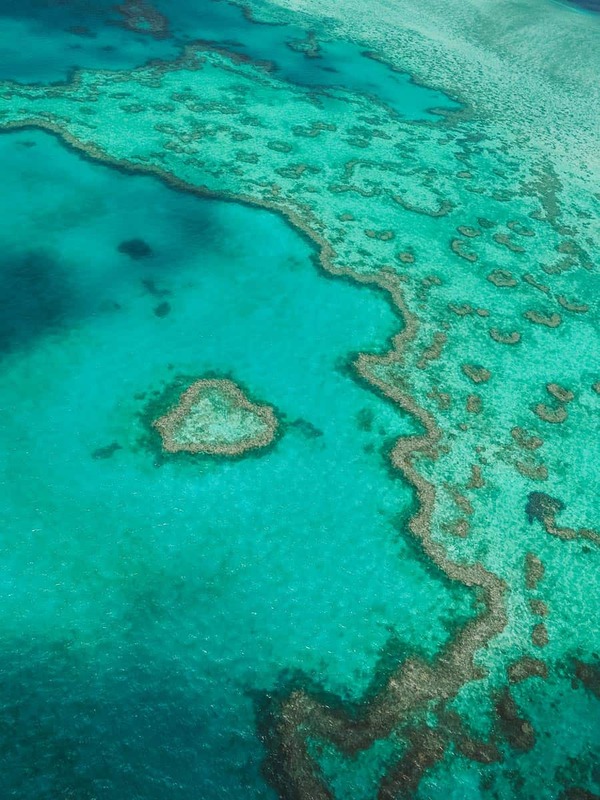 Seeing the Great Barrier Reef from above is undoubtedly one of the best ways to experience this amazing formation. Watersports– Jet skiing, stand-up paddle boarding, snorkelling, windsurfing… you name it. Hamilton Island has numerous water sports on offer. Generally, non-motorised sports are included in the price of your accommodation, others you may need to fork out a little extra cash for. We recommend pre-booking any tours to the reef or scenic flights before you arrive. This is the reason most people visit Hamilton Island, so they book out early. You can pre-arrange to pick a golf buggy from the airport. There is a fairly well-stocked supermarket and bottle shop located near the Marina. 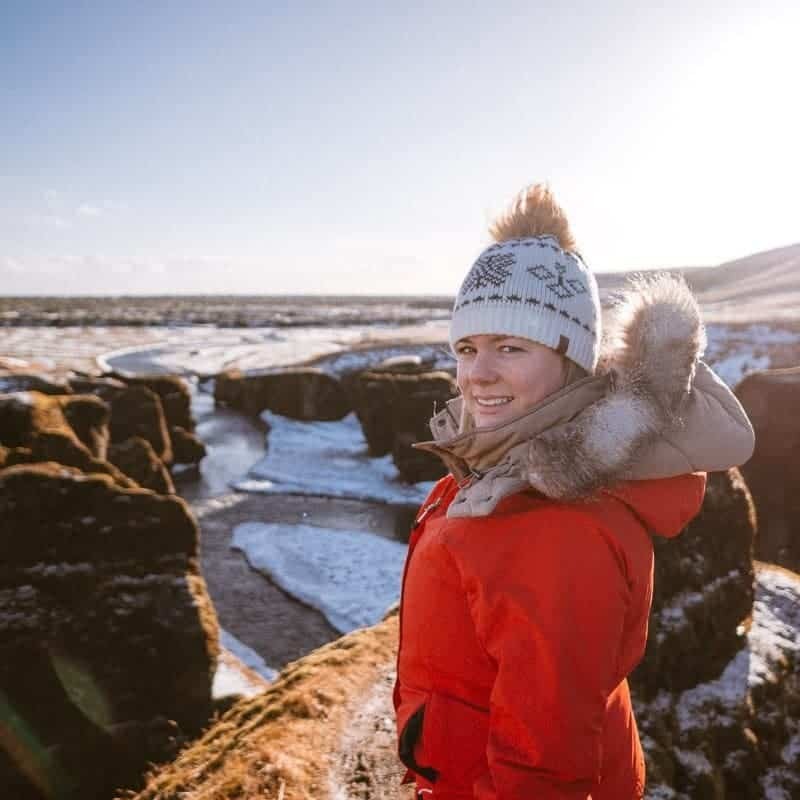 This is a great spot to pick up supplies if you prefer to cook your own food or have a picnic at one of the viewpoints. Is there anything you think we missed in our Hamilton Island travel guide? Let our readers know in the comment section below.